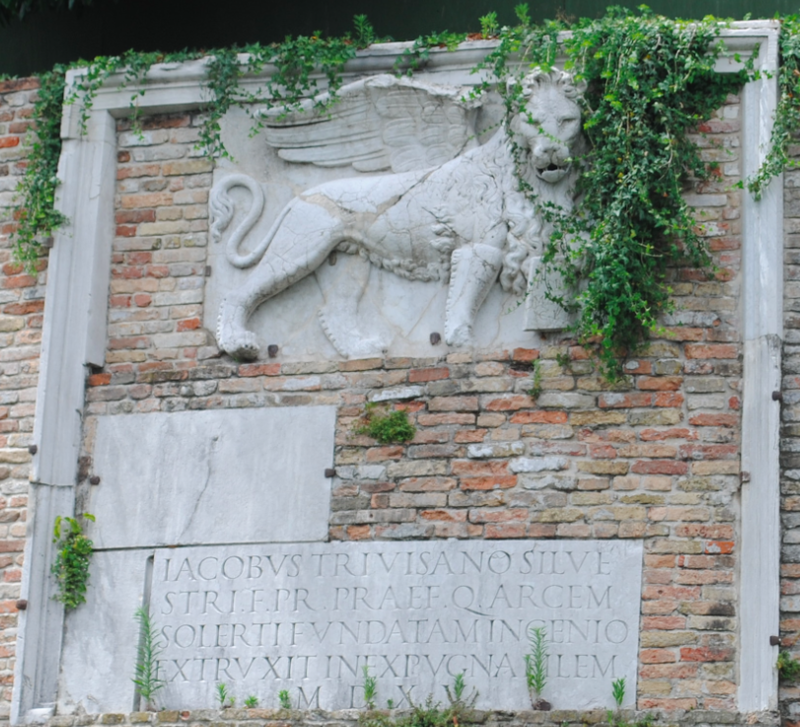 Following the Venetian Wars and rule by the Carraresi, the city of Treviso was fortified in the late 14th century. 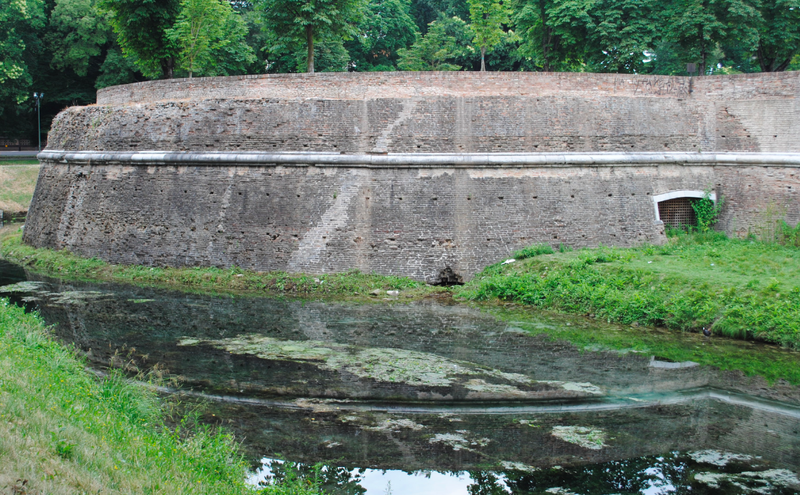 A line of walls and ramparts were built to protect the city which were in part rebuilt the following century to guard against attack from the League of Cambrai. 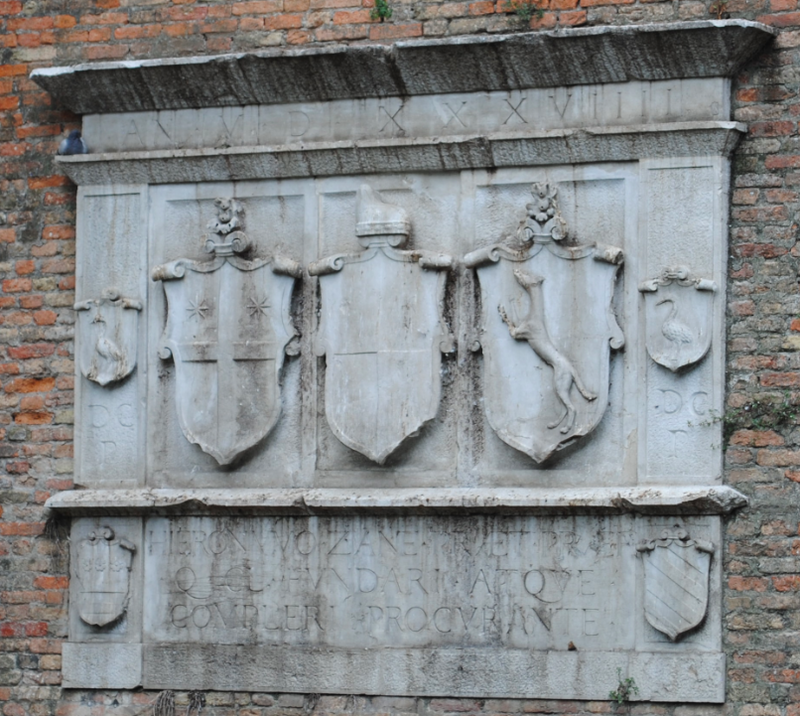 The 15th century saw the addition of two gates to the city and widening of the city walls under the direction of the Italian architect Fra Giovanni Giocondo. 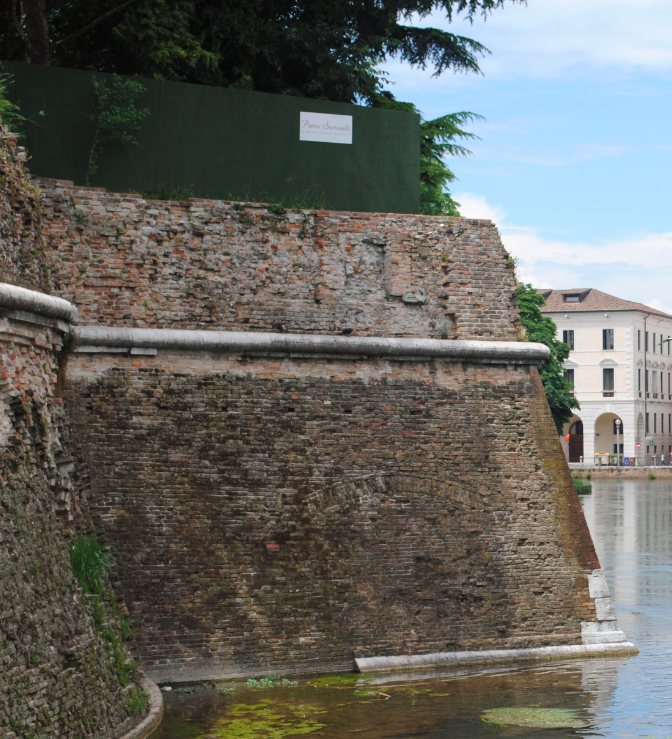 Construction of the fortifications ended in the early 16th century with the addition of a canal perimeter around the city. 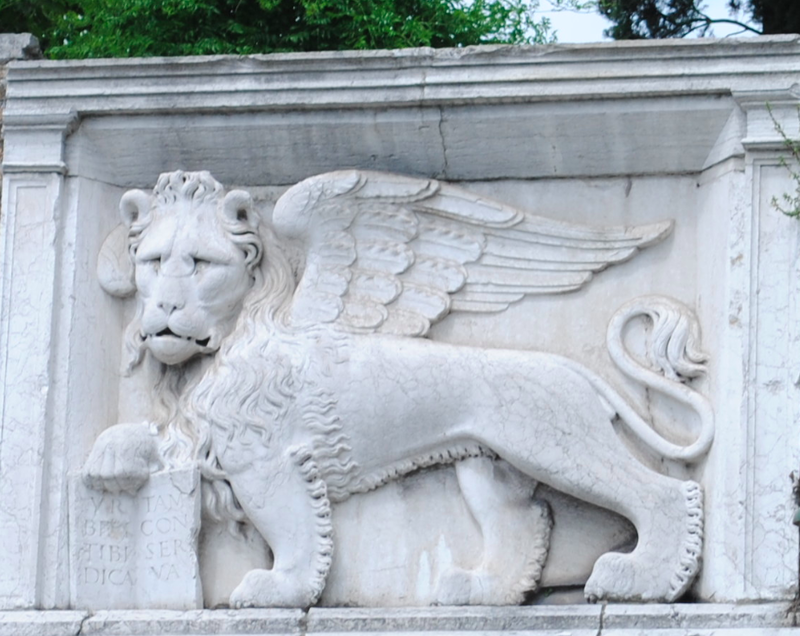 The brick walls are decorated with Istria stone reliefs of shields and the winged Lion of St Mark – the symbol of Venetian rule.